On Saturday, October 6, Vibrant Church is hosting a 5k and family fun fest to raise funds for Gail’s Girls. The 5k registration fee is $35 and begins at 10am. The family fun fest starts at 11:30am and not only racers and their supporters, but anyone who wants to, can enjoy the family fun event. The family fun fest entrance is free and on the same campus! The fun includes a live band, children’s wheelchair accessible Adventure Park, volleyball courts, balloon artist, inflatables, crafts for kids, a free zumba class, vendors and more! 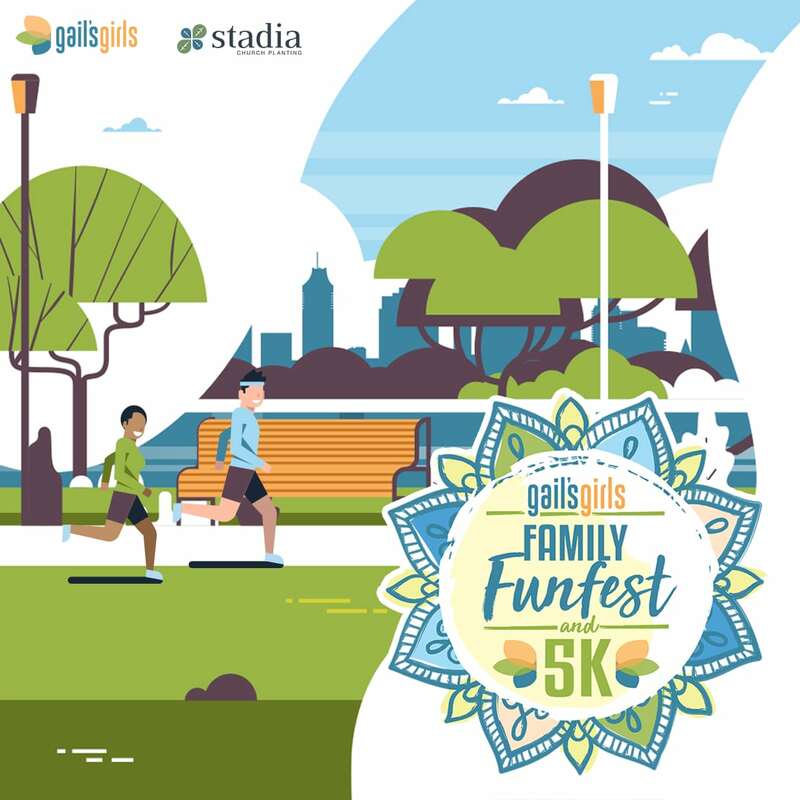 The Family Fun Fest and 5k is a fundraiser for Gail’s Girls, a campaign raising money to empower oppressed and impoverished women in Southern Asia. The mission of Gail’s Girls is to provide opportunities to encourage and empower women in Southern Asia by teaching them life skills, and a specific trade, equipping them to lead community transformation around them. Gail’s Girls 5k participants are encouraged to invite family and friends to sponsor their 5k and can do so by signing up as a fundraiser on the registration form. We challenge each fundraising 5k participant to set a donation goal of $200 for Gail’s Girls.